Little & Big Farmers of all ages will have a blast when they get lost trying to solve the Maize Quest “Great American Railroad Adventure” corn maze. Pedal around the pedal-cart track. Feed the farm animals! Take a tractor-drawn hay ride farm tour. Tackle the farm obstacle course. Play tether ball, poly pong, and shoot the monster sling shot. Try your skills on the barnyard ball throw, and corn-hole corn bag toss. Test your strength with the post pounder Hi Striker. Explore the straw crawl tunnel, straw maze, and vortex tunnel. Climb the spider web. See and hear the animated singing chicken show, and there is even more here at Heaven Hill Farm where fun is always in season. U Pick Pumpkin and Apple season starts after Labor Day. They feature one of the largest displays of pumpkins in the State of New Jersey and have giant pumpkins galore for the pleasure of all. This is a fun season for families and children of all ages, with fabulous photo opportunities everywhere. Hay Rides, Pumpkin Slingshot, Corn Mazes, and Farm Tours are available. Enjoy your day with a hayride to their pumpkin patch and corn maze. The hayride takes you on a scenic ride of the farm, where you will pass by a pond, willow trees and fall decorations. Once you make it out to the field, feel free to explore the corn maze and pick a pumpkin. Upon your return from the hayride, visit and feed the animals at the petting zoo. Get your cameras ready for memorable photos of “How Tall This Fall” and the many other face cut outs scattered around the farm. Younger children will have fun working their way through the hay maze and playing with toy tractors in the corn box. Open for apple picking, features 34 varieties of apples ranging from traditional classics to heirloom specialties to modern favorites. 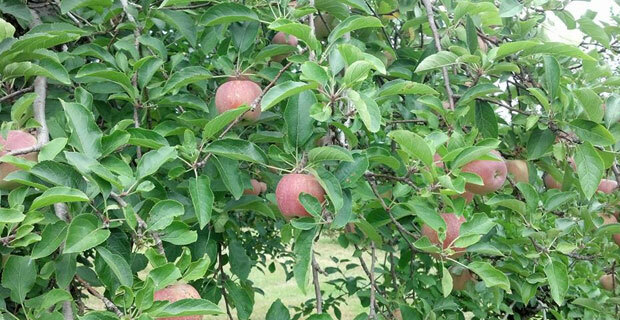 The early apple varieties begin to ripen the first week of September when they open for pick your own apple season. Hayrides are available to the orchard and, in October, out to the pumpkin patch. Over 30 fun filled activities: Down on the Farm Corn Maze (NEW!) last entry is one hour before dusk. Farm Animals, Hay Maze, Spider web crawl, Maggie The Milking Cow, Monster Sling Shots, Barnyard Sports Ball-cade, Post Pounders, Hay Crawl, Corn Boxes, Bee Barn with Glass Bee Hive, Visiting Farm Animals, Boo Barn, Chicken Little Show, Baby Chick Barn, Dancing Robot Show, Duck Racing Tracks, Vortex Tunnel, Obstacle course, Tether ball, Poly Pong, Lincoln Log Cabin builder, Maize Quest Games solve puzzles and learn about the Great American Railroad, Fabulous Finger find game for your young corn maze adventurers. Pumpkin Hollow opens the last weekend in September for you and your families to come pumpkin picking! Buy your tickets to get on the hayride and take a nice scenic ride up to the pumpkin patch! 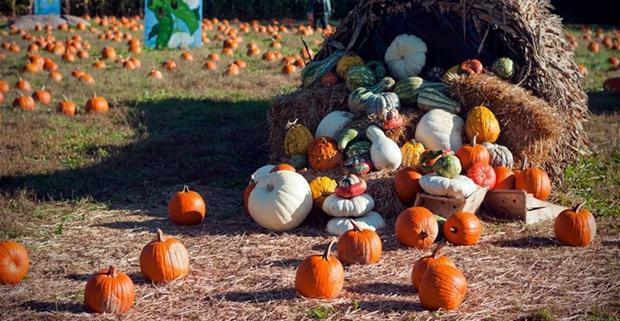 Choose from thousands of pumpkins in all shapes, colors, and sizes. Head out to the field and pick your own pumpkin among the brilliant display of sunflowers. Visit with the farm animals! Think you have a good sense of direction? Take a tour through their free corn maze. Thrill seekers can take a ride on their haunted hayride.